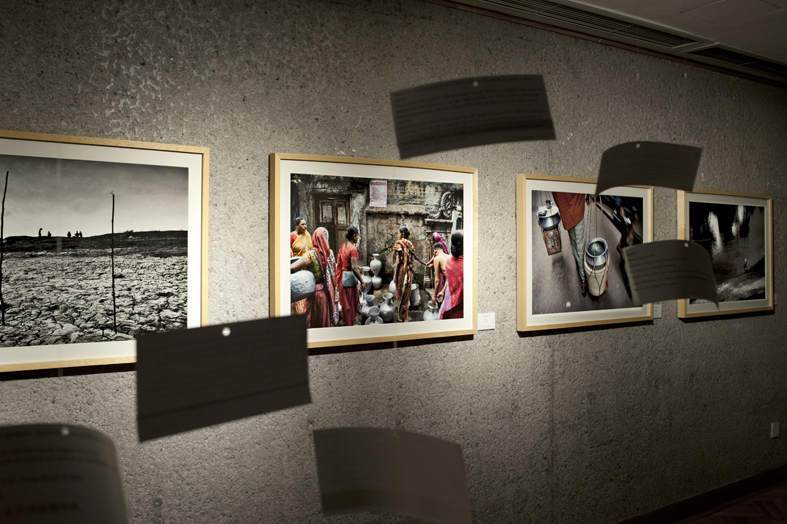 On September 14, 2012, we held the first exhibition THROUGH WATERS at the Italian Cultural Center in Beijing. Global security in the coming years is likely to be affected a "water divide" and competition for increasingly scarce resources could mean domestic and international conflicts. Through this conference, which counts among its participants Ma Jun, UNESCO Beijing, Thirst4Water and anthropologist and curator of the THROUGH WATERS exhibition Christina Sassayannis, we emphasize the importance of creating a dialogue between different academic disciplines and strategies for defining the valorisation (valuation) of water as a key element to be protected and known. Through this photo exhibition, we aim at highlighting the need for a renewed dialogue among the world's peoples and cultures, especially among young people. The exhibition included the involvement of local and international schools, screenings of the documentaries The Well, water voices from Ethiopia (Esplorare la Metropoli) and CRY SEA (Luca Cusani/Cafi Muhamud) throughout the weeks of the exhibition and the cartoon H2Ooooh! by Gruppo Alcuni in collaboration with UNESCO and Rai Fiction. Water will be perceived not only for its practical purposes, but as a fundamental element that has always allowed people to travel and interact with other cultures, as a way to approach the "other" with curiosity and affection.